Diana has been with Spring Meadow since October 2006. 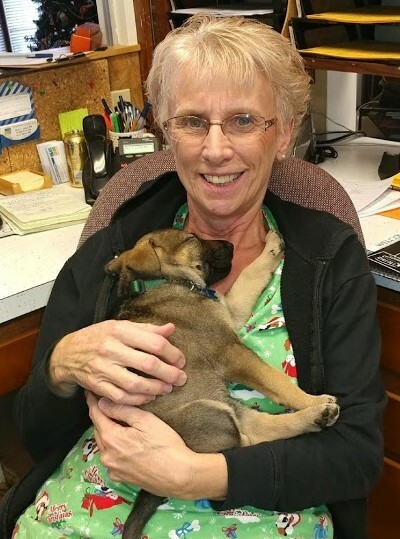 She really enjoys her job, especially interacting with the clients and their 4-legged family members. Diana has always loved animals and has a special place in her heart for each one! She has 3 grown children that have blessed her with 5 beautiful granddaughters. In her spare time she enjoys reading, spending time with her family, and spoiling her granddaughters! Four cats - Alfalfa, Milly, Ralph and Chloe; live with Diana and her husband Loyal. 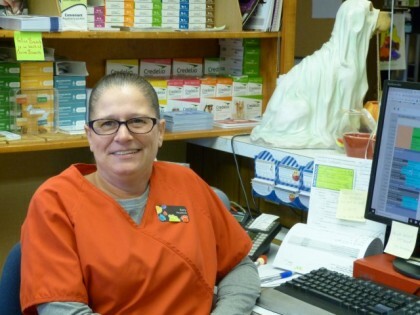 Sheryl began working as a Receptionist at Spring Meadow in Spring of 2007. 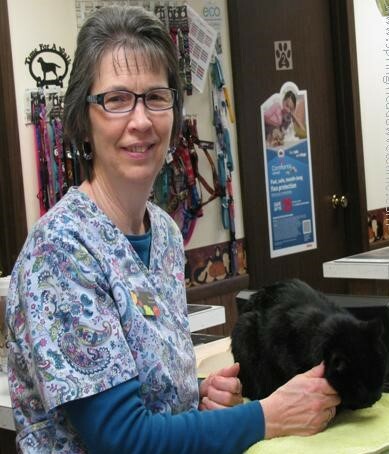 Her love of pets and their owners have kept her in the veterinary profession for more than 30 years. Sheryl is married to Roger and has 2 adult children, a daughter in Washington D.C. and a son in Columbus. Sheryl's pet family includes a golden retriever mix Dani, a flat-coated retriever named Champ, a chihuahua named CeCe and numerous cats! In her spare time Sheryl loves traveling, reading and photography. 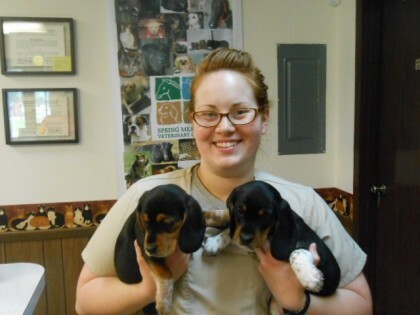 Shae joined our team in May of 2014 as a Veterinary Assistant and is now working as one of our Customer Service Representatives. She is married to Joe and has 2 dogs, 6 cats, 5 chickens, 2 turkeys, a sheep and a goat! In her spare time Shae enjoys road trips, reading and watching movies. Tommi has been part of the Spring Meadow team since 2002. Tommi began working at Spring Meadow as a Veterinary Assistant and is now working as one of our Customer Service Representatives! Her pet family includes a dog named Autumn, 3 cats, 1 milk goat and a few sheep. Tommi enjoys the country life and in her spare time enjoys spending time with family and friends. Terea joined our Spring Meadow team in November 2017. Kerry began working as a part of our Customer Service team in May of 2018. She loves all animals, especially dogs and cats. Kerry and her fiance Doug have 2 dogs - Norman and Cuddles and 1 cat - Slippers. In her spare time Kerry loves to hang out with family, go to flea markets and loves sports - especially the Buckeyes, Steelers & Red Sox.